The findings of a major new survey of UK journalists have been announced at City University London. 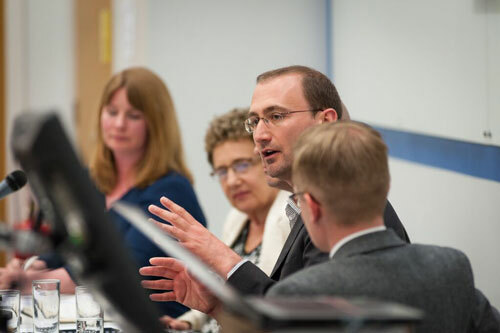 Dr Neil Thurman, of City and Ludwig-Maximilians-Universität München, led the research project into the views of journalists in the digital age. Among the subjects explored by the researchers were pay, ethics, the diversity of the profession, journalists’ roles in society, journalism practices and who they trust. 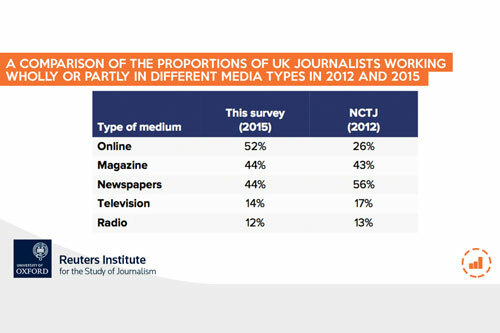 The survey was carried out for the Reuters Institute for the Study of Journalism, at the University of Oxford, and its findings were published in the report Journalists in the UK. After presenting the results, Dr Thurman was joined for a panel discussion by Pete Clifton, Editor-in-Chief of the Press Association, Michelle Stanistreet, General Secretary of the National Union of Journalists, Rasmus Kleis Nielsen of the Reuters Institute and Professor Suzanne Franks of City. 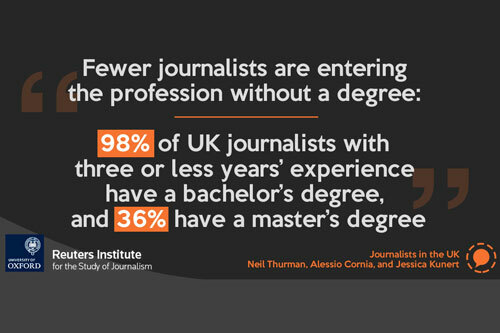 The authors of Journalists in the UK are: Dr Neil Thurman; Dr Alessio Cornia, a Research Fellow at the Reuters Institute for the Study of Journalism; and Dr Jessica Kunert, postdoctoral researcher at Ludwig-Maximilians-Universität München.